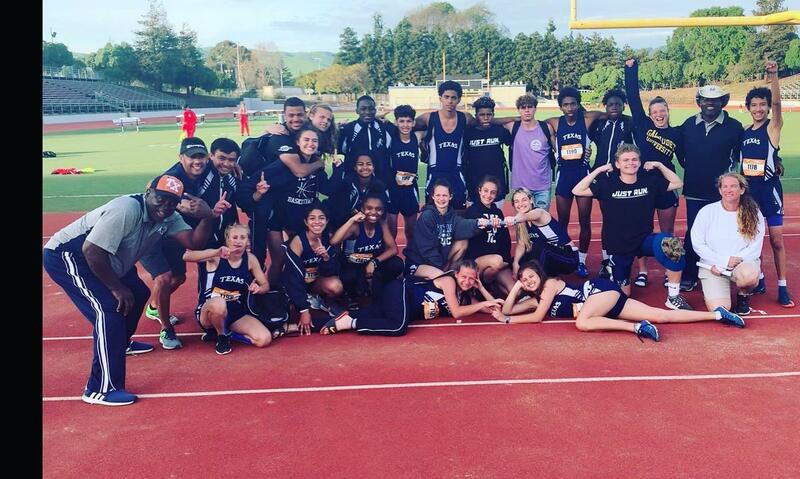 Every year the TSD track coaches are tasked with assembling a team of 12 boys and 11 girls. This year was present great challenges due to having young athletes with limited experience on the National level. Both boys and girls teams consisted of one senior and 11 underclassmen. The young lady Rangers showed no problems demonstrating competing on the national level. They took the lead from the start by scoring victories in the field events and long distance events. The sprint relay teams matched the same intensity, running away from the competition, outscoring Maryland Deaf School 189 to 156. Ashlene Etkie captured the honors of being name Best Field Athlete of the Berg Seeger Relays. The TSD boys had similar success by scoring points early in the field events as well as long distance events. They scored points with the sprint relay teams, but trailed CSD by 2.5 points with one more event left. The coaches gathered the athletes together prior to the final event to explain what was at stake. With the last event of 4x400 relay being the deciding factor of who will be victorious, the Rangers stepped up and displayed the heart of a champion by leaving it all on the track to defeat California School for the Deaf - Fremont with the final score of 111.5 to 110.5. The coaches are proud of how both boys and girls competed on the national level. Winning the Championship was a testament of the athletes not letting their youth & inexperience keep them from reaching the goal they set before traveling to California. Rudy Tomjanovich said it best when he said “Never underestimate the heart of a Champion”. 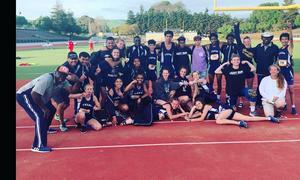 Congratulations to the TSD boys and girls track and field team winning back to back Berg Seeger titles.